Just as the public was suckered by Trump, they are being suckered by a sham fight that won't deliver on any of its promises. 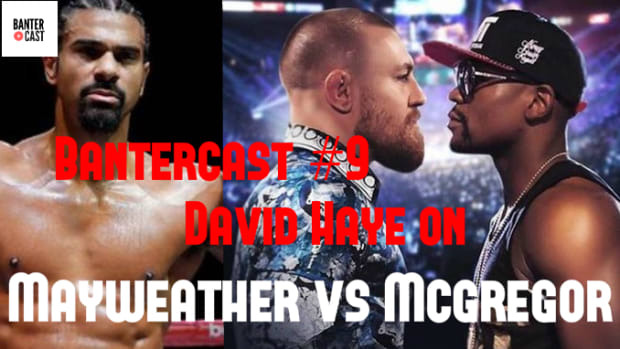 Both McGregor and Mayweather will be left richer than you or I can possibly imagine, and we'll be left wondering why we dropped $100 on the pay per view to watch a public sparring session for Floyd Mayweather. I have followed boxing closely for over 20 years. I have reported on it for a living, trained in it, and even sparred with some professionals on occasion. 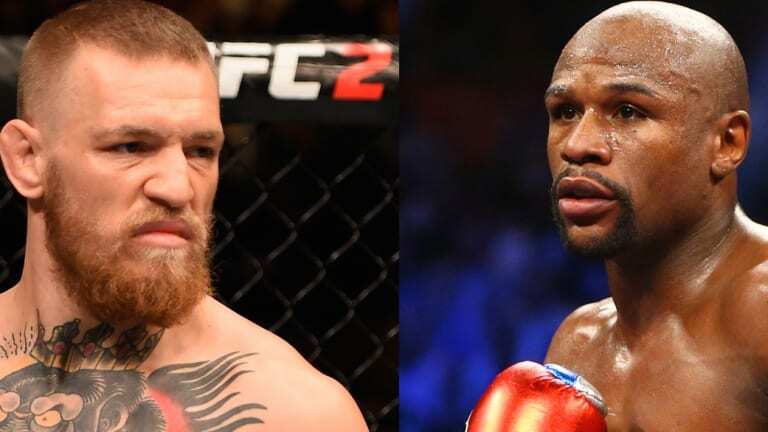 Knowing the sport as I do, I can say with almost near certainty that UFC star Conor McGregor has no chance in a boxing ring with Floyd Mayweather. None. And anyone who thinks otherwise simply doesn&apos;t understand boxing very well. McGregor, the brash 28 year-old Irish man is a brilliant Martial Artist and already one of the greatest of all time given his meteoric rise in the UFC. McGregor is so good that he conquered two weight divisions simultaneously -- an unheard of achievement that won&apos;t be repeated for years to come. He is a pin-point striker with sickening power, and is as dangerous as they come in the MMA world. His understanding of distance and timing is unique, and he is lethal with all four limbs standing up or on the ground. McGregor&apos;s left hand is so explosive and so fast that he barely needs to exert himself to knock another man out cold, and he lands it almost at will against virtually everyone he fights. But he has never fought a professional boxer, and certainly not one of the caliber of Floyd Mayweather. Mayweather, now 40 years old, has barely lost a round, let alone a fight since he became a professional boxer back in the late 1990&apos;s. He is an Olympian, a champion in 5 different weight categories, has beaten over 20 world champions including all time greats like Manny Pacquiao, Shane Mosley and Miguel Cotto, almost never gets hit and his widely regarded as the greatest defensive fighter of all time (if not the most skilled overall boxer of all time). 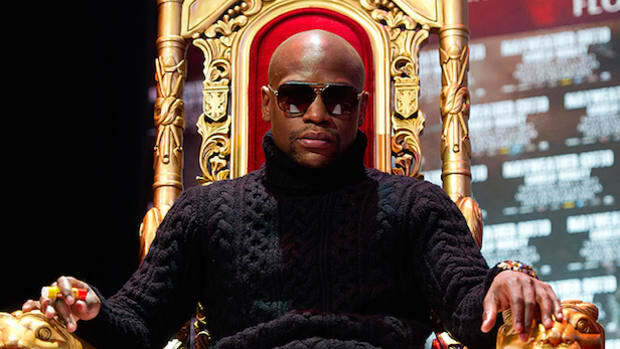 Mayweather isn&apos;t just good, he&apos;s other-worldly good. While I&apos;m not a huge fan of his personality and his marketing strategy (which consists of him conspicuously consuming expensive things), I stand in awe of his ability to methodically dissect an opponent and break them up over the course of a fight. To the untrained observer, it can look fairly dull, but to the boxing aficionado, watching Mayweather box is akin to watching Pablo Picasso paint. He really is that good. Mayweather reacts to the subtlest of clues: the way a fighter balances himself, where his gloves are held, what he reacts to, and most importantly what he doesn&apos;t like. Then he goes about taking away all of his weapons piece by piece and forcing them to fight exactly where they don&apos;t want to. While Mayweather thinks from moment to moment in a boxing ring, he also plans ahead knowing exactly when to take breaks, when to turn up the heat, and when to coast. No one has really come close to beating Mayweather, and for good reason. McGregor can make the fight interesting for about a round, maybe two. But after that, he is toast. Should he land early and get the finish (which he won&apos;t), it will be because Mayweather is a 40 year old man, and nothing more. If Mayweather is at 50% of his capacity, he&apos;ll embarrass McGregor and end the fight in 6 rounds or less. McGregor won&apos;t see the punches coming, won&apos;t understand the angles, and won&apos;t be able to land anything. He will look like what he is -- an amateur boxer in with one of the greatest of all times. 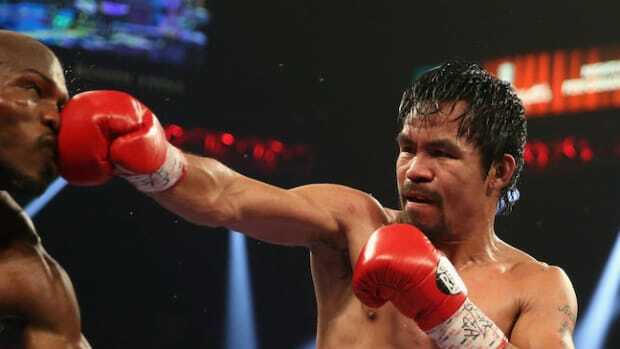 “I couldn’t hit him,"said former Mayweather opponent and world champion Ricky Hatton. " “Oscar [De La Hoya] couldn’t hit him. Canelo [Alvarez] couldn’t hit him. Conor’s not going to hit him." Of course the exact opposite would be true if they were to fight in an MMA cage. 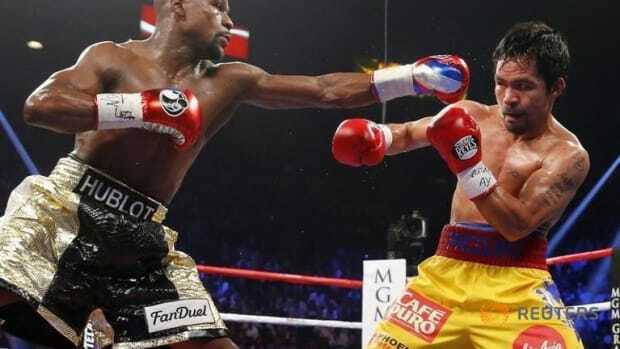 Mayweather&apos;s sophisticated understanding of punching range and incredible timing counts for almost nothing in the MMA world and he&apos;d get thrashed within two minutes -- and that&apos;s being generous. 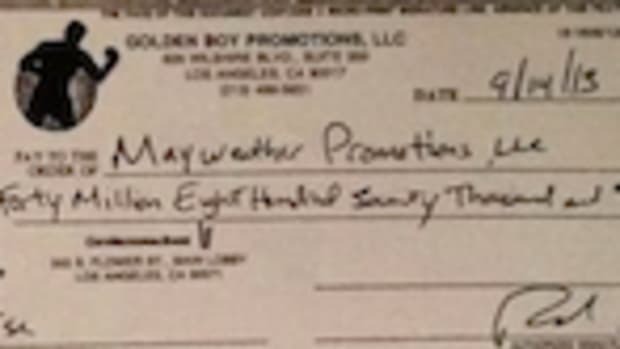 But the two men have signed to fight in a boxing ring under pure boxing rules. And McGregor is going to get battered, very, very badly. Why then, has this fight been made? 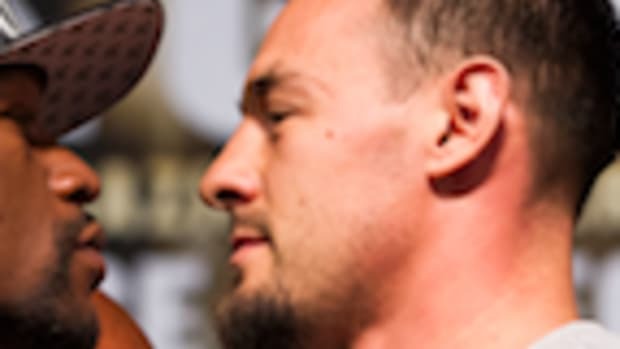 Some are viewing it as boxing vs MMA while others see it as the next iteration of the "Great White Hype" (a talented black boxer taking on a heavily promoted white bruiser). Personally, I see it as a ridiculous freak show -- a spectacle put together by brilliant PR people who sell image and controversy for as much money as they can get their hands on. This includes the Dana White (the president of the UFC), McGregor himself, and most of all, Floyd Mayweather. Of all the major players, McGregor is the least guilty as it appears he genuinely believes he can win. He&apos;s a supremely confident young man right at the top of his game, so I have little doubt that he truly believes in himself. However, everyone else involved knows exactly what will happen, but are pretending it is a great fight because of the truly insane numbers involved in it. 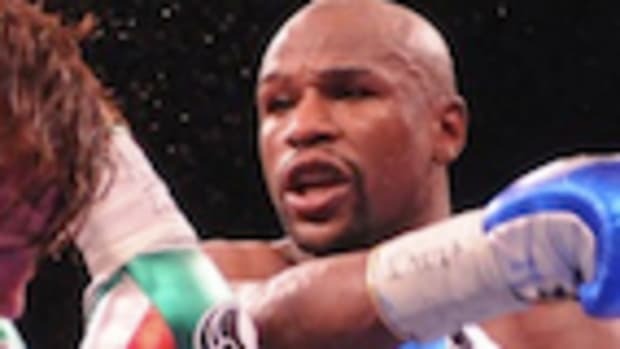 Floyd Mayweather does not take fights he can&apos;t win, especially at the age of 40 -- an age that would be an issue if it wasn&apos;t Floyd Mayweather we were talking about. There have been fight freak shows in the past, notably when Muhammed Ali fought Japanese wrestler Antonio Inoki in 1976, and boxer James Toney took on MMA fighter Randy Couture in the UFC in 2010. 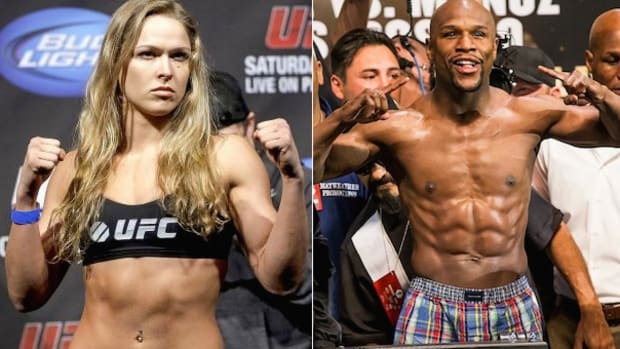 Although different in nature, both fights were complete let downs because of completely opposing skillsets the athletes had trained in their entire lives. Inoki spent 15 bizarre rounds lying on his back ineffectively kicking at Ali&apos;s legs, while James Toney was submitted in the first round without landing a single punch. But this fight between McGregor and Mayweather is different. It is bigger, bolder and involves a far vaster fortune. It promises to be the biggest fight in history -- an astonishing fact given how one sided it is going to be. Both McGregor and Mayweather are big talkers with flashy lifestyles and enormous bank accounts. They&apos;ll bicker endlessly during the lead up to the fight and will play their characters up to previously unseen levels. McGregor is perhaps the greatest "smack talker" of all time, and by the end of the promotion fans will come away believing it really could be a competitive fight. It will be highly entertaining, completely engrossing and will generate more attention than any fight in history. And yet the substance won&apos;t be there on fight night, and the public will be left feeling cheated and disgusted. The best analogy I can think of to translate to a wider audience what this "fight" really means is the one that has been unfolding on our television screens night after night for the past year and a half. Floyd Mayweather vs Conor McGregor is only a "fight" in the sense that Donald Trump is "the president". Yes, Trump resides in the White House, has everyone call him president, and attempts to act like the Commander in Chief. But he isn&apos;t, and no matter how hard he tries, no one outside of his increasingly small bubble of supporters believes in him. But none of that mattered in 2016 in the lead up to the election. Trump was bold, bragged a lot and promised his supporters the world. He couldn&apos;t deliver, and now everyone wants their money back. But just as the public was suckered by Trump, they are being suckered by a sham fight that won&apos;t deliver on any of its promises. Both McGregor and Mayweather will be left richer than you or I can possibly imagine, and we&apos;ll be left wondering why we dropped $100 on the pay per view to watch a public sparring session for Floyd Mayweather. Personally, I&apos;ll be watching it for the same reasons I sat glued to the television as Donald Trump trashed American democracy and won the presidency. Because as much as I see through the charade, the sheer ballsiness of it is too intriguing, and the sheer spectacle it will create is an historic event in of itself. I&apos;m also prepared for the deflation I&apos;m going to feel afterwards -- the sinking feeling that we&apos;ve all been conned for the most shameless of motives. But then this is America, and Donald Trump is president. We just have to get used to it.